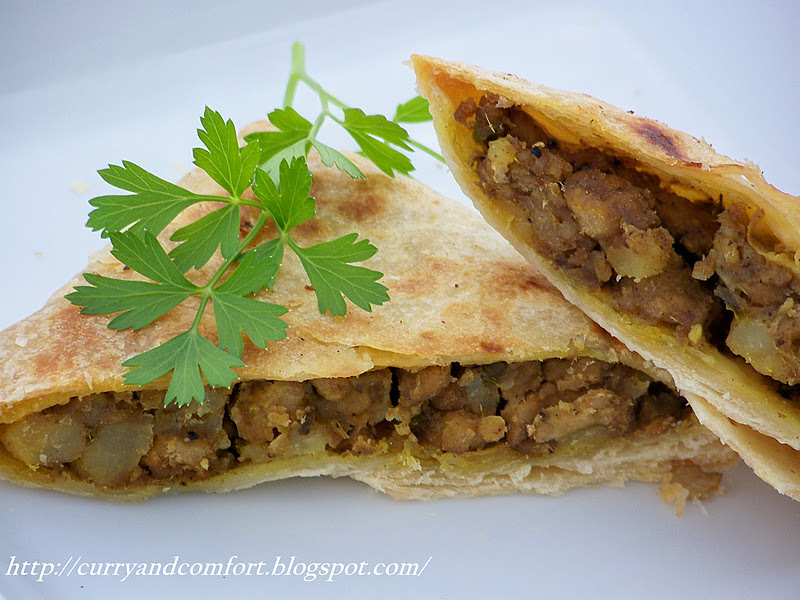 Sri Lankan Patties, Eggrolls, Empandas and, English Pasties are all some of my favorite snack/party foods. 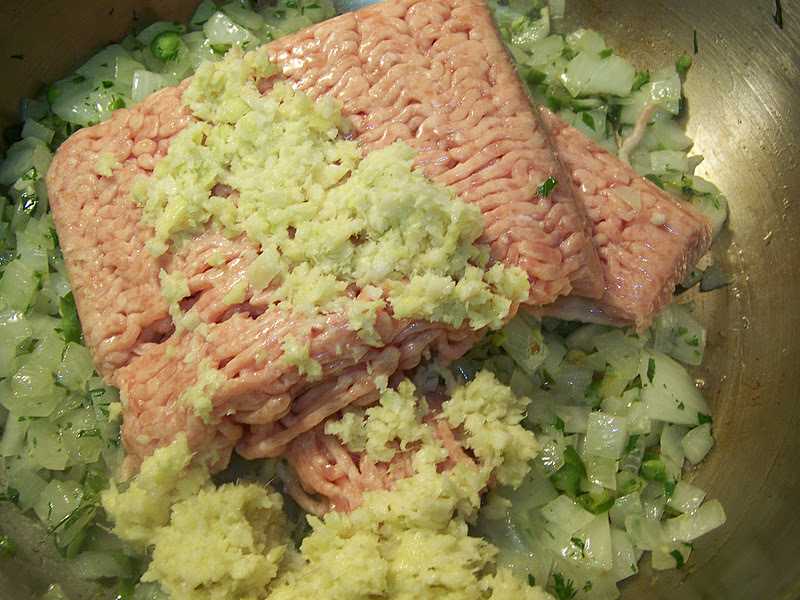 But of course these can be time consuming to make or need to be deep fried. I wanted to avoid both the extra work and the deep frying. So, I bought some flour tortillas and decided too stuff them with some spicy Sri Lankan chicken and potato filling. They came together quickly and I only had to gently cook them on a griddle to brown the outside so there was no need for deep frying. What a delicious snack/party appetizer. They reheat well in the oven or microwave so make a bunch and enjoy a quick and spicy snack anytime. 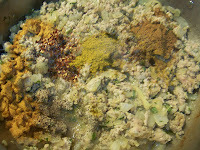 Heat a large pan with 1-2 Tbs of canola oil. 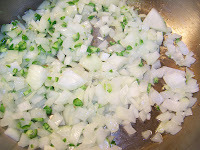 Add onions, green chilies and saute for a few minutes. Then saute the minced mint and curry leaves for a minute. Next add your ground meat and garlic/ginger paste. Saute for 2-3 minutes. 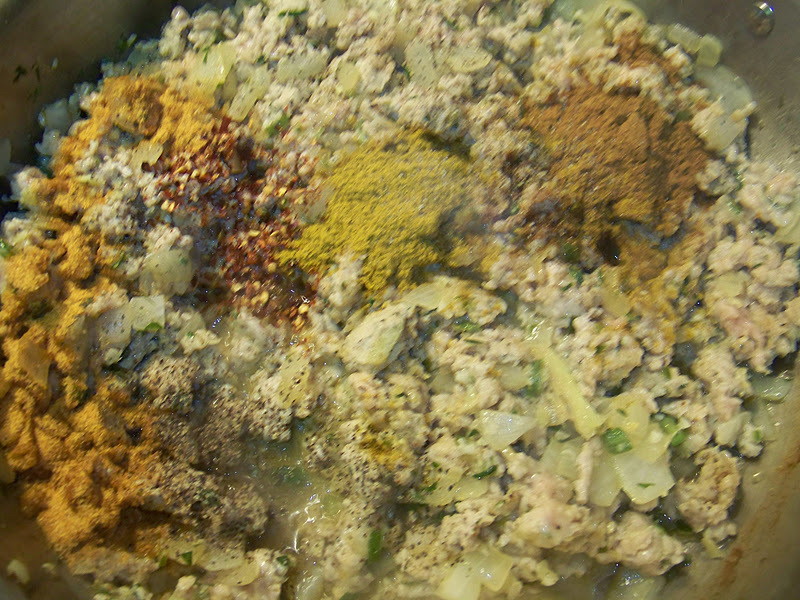 Now add your ground spices, salt and pepper. Saute for another few minutes. Add your smashed potatoes and Worcestershire sauce. Mix well. Taste for seasoning. 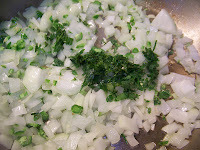 Add juice of half a lime (about 2tsp) just before you turn off the stove. 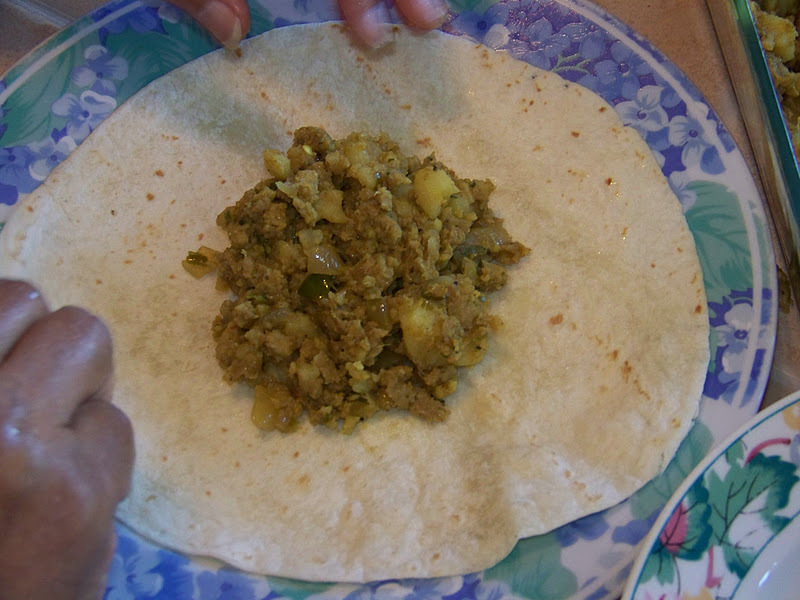 First, soften tortillas in the microwave for a few seconds. I heated several tortillas covered with a damp paper towel. Then apply a coating of canola oil on one side of the tortilla. 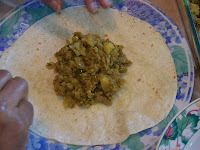 Flip it over and put the 1/2 cup of filling in the center of the tortilla. 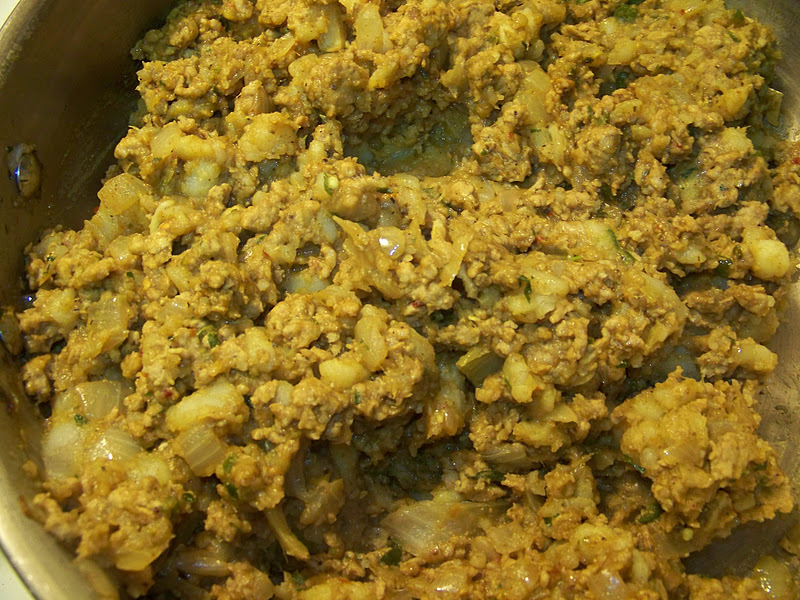 Fold over the top and bottom and then the right and left sides. Fold like an envelope. The oiled side should now be on the outside. 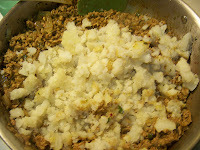 Place seam side down and allow to side for a few minutes to make sure the oil adheres the tortillas folds together. Pan fry these on a medium skillet, griddle or frying pan until both sides are golden and crispy. Serve with sauce and enjoy. This looks delicious! My husband just bought potatoes and chicken last night, and we have tortillas on hand. Looks like we'll be having this for dinner tonight! Thanks for sharing! One of those quick and easy lunch for busy days. That looks amazing, thanks for the step by step...how helpful! Ooo - this filling is fantastic!! I saw tortilla and expected a mexican-flavored filling! You are always full of surprises! These pockets look delish! Before I tell you how great and yummy this recipe is I have to tell you how happy I am that the Fairy Hobmother paid you a visit. You are such a sweet persoon you deserved it. Now on to this tasty recipe. I love the fact that it's not deep fried. Nothing wrong with that but I won't feel guilty eating more than one of these. MM MM MM! I wish I could create something like this! All your foods look amazing, they're something I could definetly eat everyday :) Lovely recipe! Wow - these look delicious! 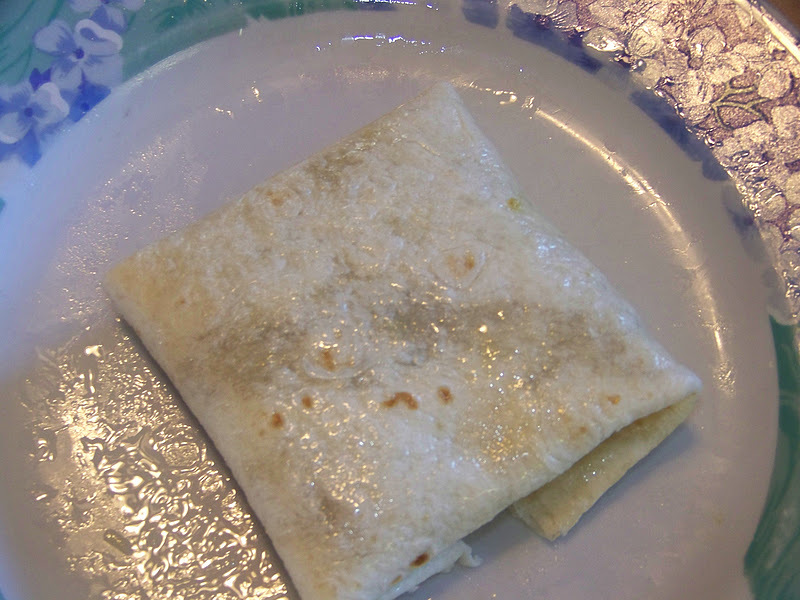 I'm a big fan of tortillas as well because you can have a delicious finished product without frying! Nicely done! Congratulations on your visit with the Fairy Hobmother...I'm thrilled she visited you! Looks great! Really a nice alternative to a sandwich! I guess this is where I get to use my leftover Chapatis. Nice! Those sound wonderful! 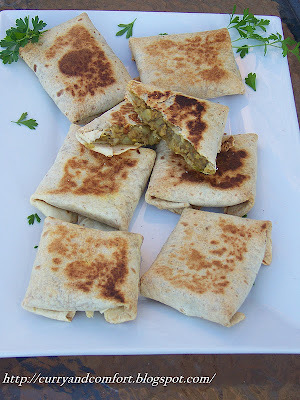 I love the idea of using tortillas and browning them. I love all of those little stuffed pastry type appetizers, but agree they can be time consuming to make. 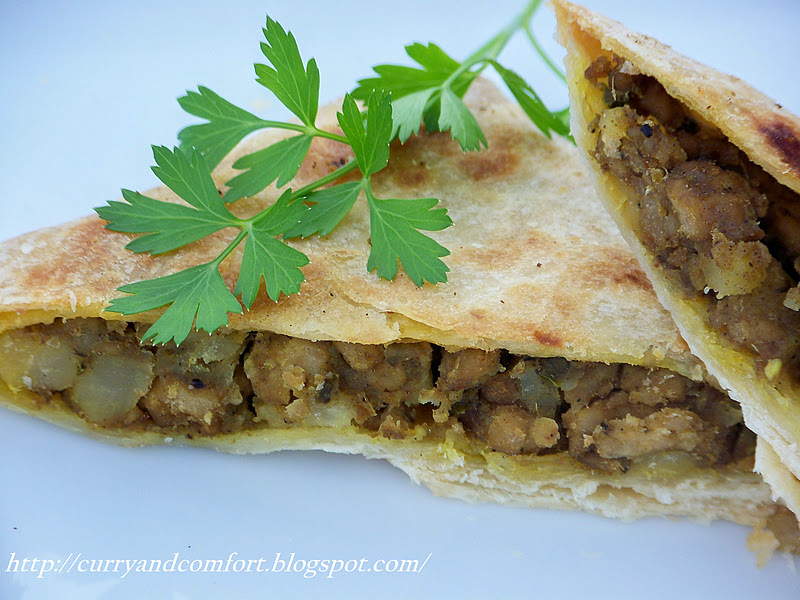 This is a great alternative and that stuffing looks so tasty! it so easy to make and delicious to eat. I took some home and reheated in the toaster oven the next day and it tasted still great. Fantastic idea to shortcut using tortillas. I'm with you - pasties, samosas, phyllo pockets and pastries of all kinds are my favorite snacks. Love how you've kept the spice and flavor but used a really easy crust!